Dipak Ram, an NHS consultant from Manchester, took the image that shows a large dark “mass” in the waves of the legendary loch last week. The 33-year-old spotted the dark shadow in the water near Dores beach at 5.35pm. The medic at first believed it was a strange wave pattern but insists that when he zoomed in with his camera he found a “stationary object”. 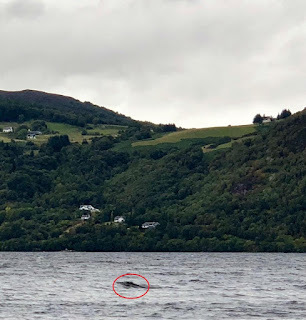 Dipak, who says the sighting was witnessed by a fellow tourist, claims that this was “Nessie’s hump or neck” and says it disappeared below the surface after 30-35 seconds. “When I zoomed in using my camera phone, it became much more apparent that the stationary object was indeed Nessie’s hump/long neck. “After 30-35 seconds, the shadow disappeared downwards into the water. Unfortunately, we didn’t film it as we were in shock.” Dipak named the witness as Tom Smith, a “fellow traveller” from Ramsbottom, Greater Manchester, but says he does not have contact details for him. Now if you read Mr. Ram's account, he is convinced it was no wave as it remained stationary in the midst of the water movement around it. Of course, this cannot be established from one image and it is clear he regrets not putting his camera into video mode. I would accept his testimony in the absence of contrary testimony (e..g how corroborative would Mr. Smith's account be? ), but more critical assessors will ignore his words and make a judgement based purely on the merits of the image. I would point out the "hump" is more water blue that monster black or gray, but that may be my imagination. Not only would a video have been useful to establish its independence from the waves, but also to record the submergence moment to further verify its independent existence from the water. Another useful image would have been a pan out to the Dores Bay shoreline to give an idea of how far in or out the image was (not a log in the shallows). Information is everything and the more we have, the more confident the conclusions and the less chance of fob offs. So we have one image, perhaps there are others, but there is not enough to go on with here unless anyone has any other observations or information. Or should the title be "Latest Nessie Photograph?" From a distance it looks just like another wave. The closer you zoom in, it looks more like an animal's back but is still ambiguous. This is interesting. If I saw the photo without the eyewitness story attached to it I’d simply assume it was a wave. Even when I look closely it appears to be a wave. But the story with it is intriguing and makes me question my assumption. Who knows?! I think its a wave. When i visited this area a couple of years ago i saw a lot of waves like this. Yes +1 for the wave as gezza said you see loads of these on the loch..as you would know Roland.I got excited when i read 'latest nessie photograph' what a shame. It's a wave. I think the witnesses were tricked by the illusory movements of wavy water And why would the witness refer to it as a shadow? Without video, it's up in the air and anybody's guess or imagination. In spite of what the witnesses proclaim, I'm sorry, but in this case I cannot side with these eyewitnesses or this pic. I’m inclined to agree with your conclusion John. I think some people don’t understand that one unusual feature of many waves is that they can stand out from other nearby waves, both in terms of size and tone. A larger wave which appears darker than the surrounding water is fairly common where there’s a turbulent surface. Those waves can also persist longer than people might expect. Interesting story, but I think this one can be considered a misidentification. Regarding the tourism benefits of Nessie, I’ve never quite understood why the locals are so tolerant of the English sceptics who relocated to the area and who now seem to have the main goals of destroying the mystery and rubbishing the evidence. That blinkered approach is costing local tourism millions in my opinion. Only the British would pour scorn on their own mystery like Nessie. The Americans generally would be bolstering the search and the excitement surrounding the place if it were in their country. Another inconclusive photo from Loch Ness. It's a wave. As a believer of large unidentified animals living in the Loch I find this frustrating again. You have all seen seals, dolphins, and whales on film fellow readers and they all are evident as to being seals, dolphins, and whales when filmed. This photograph is useless,it reveals nothing at all. When will someone capture an image that actually depicts a large animal??? This kind of thing should not be considered news because it only adds to the growing pile of useless non information. Confusing images of blurs, waves, blotches, or blobs serves nothing to the case of the LNM. All this misinformation only muddles the entire mystery and should not be considered as evidence. Nothing since the Holmes video is intriguing and that is still not a clear video. I'm a nessie believer but let's not include a wave photograph as something worthy of depicting a large unidentified animal. What about the latest webcam video Jack ? I agree Jack D. What I would really like to see is a closeup head and neck in hi def video of a Nessie with eyes darting about, mouth opening and closing, revealing a nasty set of teeth, maybe some gills fluttering (because you know, a creature that is rarely seen on the surface has got to have gills!) neck musculature rippling and then diving in a big splash of water. Now that would really clinch it for me. Meh... I maybe asking for too much. Someday hopefully. Indeed, it depends how much stock you put on the accompanying testimony and that tends to involve a bit of bias and prejudice depending who you are. As said above, some words from Mr. Ram's "fellow traveller" Mr. Smith would be helpful, perhaps he took a picture as well. I suppose your right Munchkin, after all yes a wave could look like the top of an animal just breaking the surface but i guess an animal just breaking the surface could look like a wave, if you see what i mean . GEZZA - I stand corrected! Okay I admit that I overlooked two recent webcam videos that are interesting, far from clear however. One of a head and neck from a distance and the Eoin O'Faodhagain video. They are intriguing yes but once again far from solid clear visual evidence. I believe Dinsdale, Rines, Fr Brusey, Boyd, and others had clear sightings but we have zero photo evidence of what can even be called an animal. I'm not a skeptic but too many images are used by the media as Nessie sightings that don't resemble any Nessies. We have photographic evidence that's extremely interesting, but it's far from conclusive. Looking at Nessie photos is like panning for flakes of gold. What we need is the 3kg nugget. I believe there is truth to Dinsdale seeing through binoculars something massive and unknown. Rines sighting to me is convincing - he spent how much money pursuing these creatures??? AND his wife after seeing Nessie gave Bob permission to seek it!! This creature or creatures is the most elusive thing to ever breathe. If indeed it is 30 ft long it has eluded every camera effort so far - capturing lightning on film is a breeze compared to these animals..
Jack D: It's known as sensationalist tabloidism. I agree Jack. Every photo of something sticking up out of the water in loch Ness is Nessie, according to our junk press. This demeans the issue. We could do with a big hitter photo or video right about now. No real question imo - it's an image of a wave. As Jack D assert very articularly - this kind of "evidence" really muddies the waters. For one, most eyewitness report a "monster", a very large creature that displaces a lot of water. This is salmon sized at best. We haven't really adavanced much, still discussing photos of a distant smudge that look very much like an everyday wave. One hopes that the drone phenomena can give us some decent, close up overhead HD footage of something large and strange near the surface. Perhaps, but we have had airborne surveillance before, so I wouldn't put the mortgage on it being a quick success. Scale may be an issue if we have an interesting shape just under the surface but no frame of reference. I aim to hover over something like a buoy for scale in such a case (but do it first rather than after for obvious reasons). If your drone has an altimeter and you know the lens focal length you should be able to work out a size of anything captured. It may not have an altimeter, I don't know. Although if it has satellite navigation it can give a height above sea level, so minus whatever the loch height is. More likely to be Aquaman in that case! One thing I would say about this, and it’s actually to acknowledge some truth in a particular bugbear of the sceptics. That is to agree with the sceptics about the issues caused by the “single Nessie photo”. If a witness takes but one photo rather than several, a huge opportunity is lost. If this particular eyewitness had been able to provide even just one more photo showing the same shaped object but with the surrounding waves different to those in the other photo, we’d all be talking about something other than a standout wave here. Of course a sequence of photos isn’t a “cure all” (see Johnstone images as an example), but a sequence would certainly allow us to dismiss any notion of one wave captured in a single moment. Worth thinking about if anyone gets their big chance at the loch in future! Absolutely true. We now have the ability to take many photos in a row, even with a phone camera (although many people probably don't know how to do this, and neither would I with my own phone). A pro or more advanced amateur should be tooled up and ready to go at Loch Ness, meaning one could take multiple shots quickly. Even lower end SLRs can take 3 shots per second, for several seconds before they need to pause to clear the buffer. My 9 year old Canon 7D can take 32 RAW files in a row, at 8 frames per second. Or almost unlimited JPEGS. The RAW files are unalterable, making them akin to original negatives, and extremely valuable in this type of endeavour. Long story short, we have the technology, we just need the opportunity! With my phone I can simply press the red button again, very shortly after taking a photo. It's why I don't have very much faith in any of the images I've seen in the last decade. Further more it's why I have some faith in the "classic" photos. Objectively, the lack of sequential photos in the last 40 years is the main evidence against the monster's existence. It also has to be said that it is no surprise people want to see the thing with their own eyes, it is a more impressive experience. If you're watching with the naked eye then you're not taking pictures. Yes I agree with this. If a person is looking at the huge back or neck of one of these animals I think they’d be transfixed, jaw agape. I know I would be! I’d be staring at the incredible sight without immediate thoughts of filming. I suspect that by the time I’d gathered my wits it would likely be too late. Such is the awe-inspiring nature of these beasts. 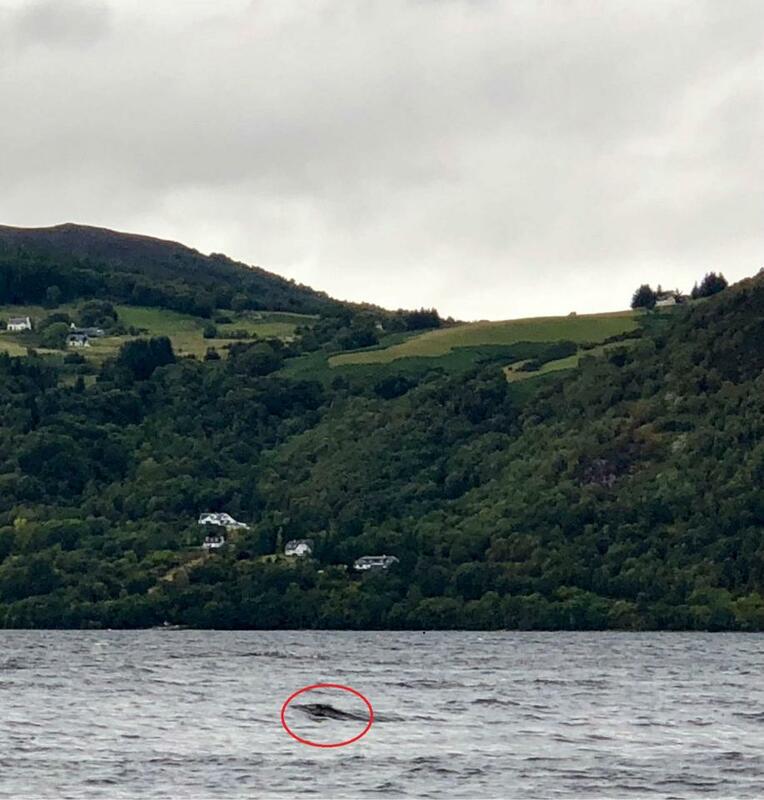 We always read of total shock from eyewitnesses, even the ones who are at the loch for the specific purpose of seeing Nessie! I would love to be in Greta Finlays shoes only armed with a running quality camera even if just black and white film, or Father Gregory's sighting. Many sightings are in short duration and last just a moment. Most people wouldn't react fast enough to get a clear video or photograph unless they were trained specifically for quick draw camera action. Close sightings seem to last seconds and the creatures are often described as alert. 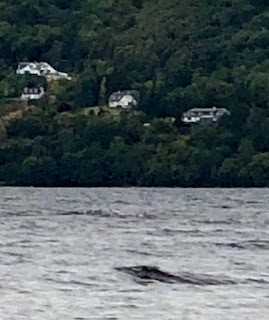 Imagine being a witness to say a 12 foot long back 3 feet out of the water from 30 yards distance and then a huge neck breaks the surface of the Loch - it would be beyond incredible. The pressure to document the experience would be insane...just as you focus the camera on the giant creature it's gone or you're left with a blurry image that looks like a water disturbance. It's like Dinsdale said " a lottery "
Also if Hugh Ayton had been able to film his sighting - if it indeed occurred as he reported it then that would be something impressive. According to Hugh Ayton he got a good look at the eye of Nessie which had a jaundiced appearance. I hope that he was honest. Doesn't really look like an animal to my eyes. Mine neither. It looks like tree debris to me. That did come to mind also. A floating tree limb.